Our Kennels are manufactured from pressure treated wood for a longer lasting and durable kennel. We have created our own unique design which has metal corrugated sheeting for the roof section. 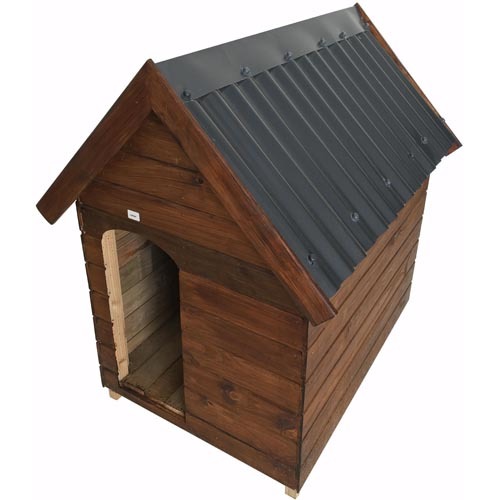 This is a sturdy and well made kennel which will look good and last for many years. We have 3 stock sizes available in Medium, Large and Extra Large. Please enquire with us if you need a different option not listed here.